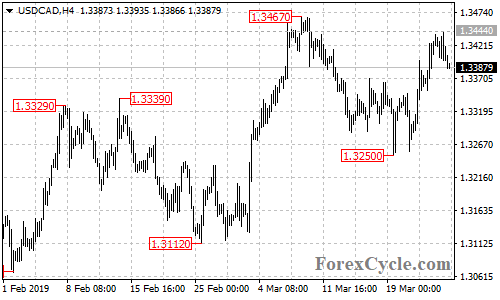 USDCAD failed to break above 1.3467 resistance and pulled back from 1.3444. Further decline would likely be seen in the coming days and next target would be at 1.3300 area. Resistance is at 1.3444, only break above this level could trigger another rise to test 1.3467 resistance.